Truly affordable solution for small and mid-market Corporate HR and Staffing Agency. Not only encapsulates an ATS but also a powerful Sourcing, CRM, Reporting, Analytics. Extremely customizable applicable easily fit into your business need. Ensures that you will never be late again by consistently delivering the best results, significantly reducing time to market, improving relationships with customers and candidates and continuous increasing recruiting process efficiency. iSamartRecruit has a lot of valuable features that haven't seen before on this kind of tools. It helps you to improve communication with your market and also to promote your jobs trough your social network making them viral and helping you to get the best talent faster than other ways. Also you have a CRM module to manage your leads and clients from the commercial point of view. It is notable the report and visibility it gives about the recruiting process that helps you to manage also the team even if you have the responsibility of a big enterprise or a small head hunter agency. "A better ATS System, satisfies my all requirements." I liked iSmartRecruit advanced features that made my work flow easier and managing all the records, data all at a single screen. Few features like Auto remainder and alerts that helps to schedule all the activities. Mobile recruiting is also an easy way to work on you phone without installing any other applications. Direct call to the candidates can help a lot, overall the system is working well and i am happy with the system. I am happy with the system as it covered my all requirements and the customer support is also very responsive and i would like to suggest to use iSmartRecruit. Using iSmartRecruit advanced features, manual filing takes a large amount of time and using the system my daily work became faster and i saved a lot of time. Makes work faster, easier and helped a lot to grow my organization. "iSmart - Applicant Tracking System"
I like the ability to easily access my candidates and clients, quickly setup job orders... and keep track of all our activity through the invoicing process. Being linked with our website saves us a lot of time as well. I can't really think of anything I don't like. Maybe I would rename a few of the fields - but as an administrator, I'm able to do that myself. Customer service is top tier. They are quick to respond and answer questions. 1) Keeping track and easily organizing a lot of activity - saving time and paper. 2) Quickly accessing information when I get a call from a client. 3) Pushing jobs to our website - saving time. 4) This allows us more time for finding new business. "Simple to Use, Powerful, Well Supported and Enhanced"
iSmartRecruit has a great feature set out of the box. The greatest strength, though, is the degree to which you can customize it to meet your business needs and preferences. This is always being improved upon and the support team is extremely helpful in finding ways beyond the obvious to accomplish this, as well. Speaking of the support team, they are the 2nd best thing about this software - very responsive and knowledgeable and always follow-through. My biggest issue isn't with iSmartRecruit so much as the fact that along with the overwhelming advantage to cloud-based software comes the obvious downside of being dead in the water if your internet is flaky or when travelling. So that just is what it is and it's a trade-off that is well-worth it for the advantages. The integration with website, social media and job board allow me to source much more quickly, make my job posting process far more efficient. The customization give me much greater control over my business and have been very helpful. Specially iSmartRecruit team innovate calendar very well where I can manage my everything including interview, task, call, meeting. "Amazing Features & Ease of Use at a very competitive price !" iSmartRecruit is a continuously evolving product. They listen to the client feedback & try to improve the product by every new release. They are always keen to support their clients & make their business processes more effective & efficient. Very dynamic and easy to configure. Makes life very easy for a Recruiter as 90% of the task of a recruiter are covered on a single page. Amazing reporting & Analytics for management team. Quick search across millions of CV database to get exact & accurate results. Thank you Jayendra for the useful review. I am glad to share that we have been keep on updating iSmartRecruit with new features with a vision to simplify work of recruiters. We will have more features in the new release. Stay tuned!!!! "Achieved business growth with iSmartRecruit"
I am using this product since last 1+ years. This product is very helpful to Manage Team, Manage Recruitment Process, Analyze company's Growth, Reports, Branding etc.. It's user interface is very Simple and User Friendly. My Team easily learn and very quickly start to work on it. As with any system, there are some drawbacks but not Major so really fine, so far system is really perfect no any major complain. 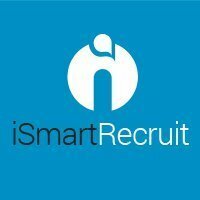 I would highly recommend iSmartRecruit. the functionality and support are incomparable - and they greatly care for their customers. They don't stop either - they constantly are moving forward in the industry and rolling out new releases to better serve their customers. So many! Before iSmartRecruit, we had a mix of electronic and paper reviews, our merit increases were done via spreadsheet, and we lacked true reporting capabilities. iSmartRecruit has allowed our organization to reach its full HR potential and save our lot time. We have automated several processes this year, going away from paper which has streamlined onboarding, benefits and soon, performance. We are getting updated information on our employees faster, quicker and accurately! Your support team is outstanding and I could not be successful in my job without them. "An ATS System that's worth a lot!" iSmartRecruit has a great set of its features along with the complete automation in its core functionality. Its a complete guide where i can stay up to date with all my candidates records and can easily track them on the go! I like client tracker, sms & email integration, Analytics & Reports to track my day to day activities of hiring process. The support is really helpful and available with quick response. I would highly recommend iSmartRecruit Applicant Tracking System to all the staffing and recruiting agencies as well as hr corporate. Tracking records of day to day hiring process has become easy where i can fetch needed data automatically. Also iSmartRecruit has helped to overcome the quality time lapsed with the manual hiring and paper shredding workload. I easily look upon the job vacancies from the online job boards through iSmartRecruit. Also our HR team has overcome from the language barriers with iSmartRecruit Multi-language option. "Helps to grow the organization and earn more profits." I liked most is the customer support and few features like:- client tracker, candidates managements, Boolean search etc. This features helped me a lot and saves time, the multilingual option helps to understand the entire system in other language. No major drawbacks,as my requirements are fulfilled and i am happy with it. My requirements are fulfilled, i am happy to use iSmartRecruit and i would like to suggest HR, Staffing Agency to use iSmartRecruit. After using iSmartRecruit i saw my business profit got higher within a few weeks and it is at affordable prices. 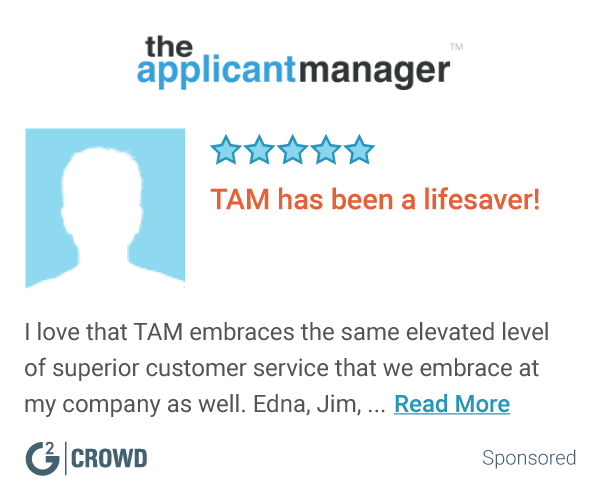 "Excellent recruiting and HR Software to use!!" Its easy to learn its new advanced features and efficient to use with ease. Organization with this product is really flexible. Everything is all at one place on dashboard. There is nothing that I dislike about this software as its worth a good product!! This is a great database tool for everything you need regarding clients, candidates, positions, reports, etc. Its developing to make the user experience more enjoyable, easier and to keep everyone at the top of technology. Much better valuable product!! We like having everything in one place. This software is web-based so we can access from anywhere at any time. As of now I didn't find anything which I don't like. I would recomand to all users who are involved with HR/Sfatting to try it out. Its Excellent tool to save your time for staffing. This product made my life easy in staffing. It saved lot of time in searching , scheduling interviews. "A excellent recruiting solution "
love there powerful searching based on radius search,Boolean query and search on notes which you include for particular candidate profile. Every software has the learning curve which need to be fulfill. If you understand the product every thing goes well. I would strongly recommend iSmartrecuit because it will not only increase your company growth but is very intelligent software too. I am get rid of the manual process of maintaining excel. And remembering of all interview schedule of candidate. As such nothing to share as dislike, but i wish iSmartRecruit team add more innovation in product like they have been doing since i started with the product. It require more integration with other recruiter portals. We have almost 20 recruitment every months. And we are facing big problem with their appointment. scheduling resume scanning. Ismart scans all resumes very smartly. and build database for faster search. * We monitor all iSmartRecruit reviews to prevent fraudulent reviews and keep review quality high. We do not post reviews by company employees or direct competitors. Validated reviews require the user to submit a screenshot of the product containing their user ID, in order to verify a user is an actual user of the product. Hi there! Are you looking to implement a solution like iSmartRecruit?